The half-life of oxycodone typically lasts between 3 hours 30 minutes to 5 hours 30 minutes, with this fact, that means that the average oxycodone user will have to wait for at least 20 hours for oxycodone to completely be removed from their system, however, the amount of time that it takes oxycodone to leave the system is based on several factors and is different for each individual. Oxycodone is a prescription painkiller that is primarily used to treat moderate to severe pain. Persons who take oxycodone are typically advised by their doctor or their care provider on exactly how many doses and how frequent they should take oxycodone. 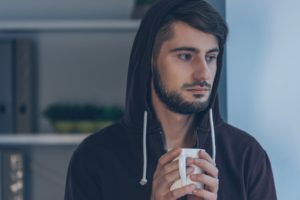 Since oxycodone is a high-risk medication for addiction and dependency, it is most important that an individual takes it exactly as instructed. 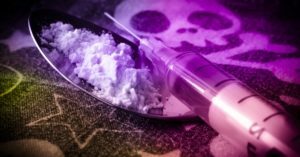 Accidental drug overdose happens to tens of thousands of people per year in the United States. Be aware of the risks of Oxycodone. 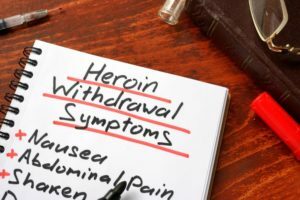 Knowing how long oxycodone stays in your system can prevent overdose and help those in need of proper detox in recovery. The following list is what many people using oxycodone experience as side effects. The half-life of oxycodone typically lasts between three hours and 30 minutes to 5 hours and 30 minutes. With this fact, that means that the average oxycodone user will have to wait for at least 20 hours for oxycodone to completely be removed from their system. However, the amount of time that it takes oxycodone to leave the system is based on several factors and is different for each individual. 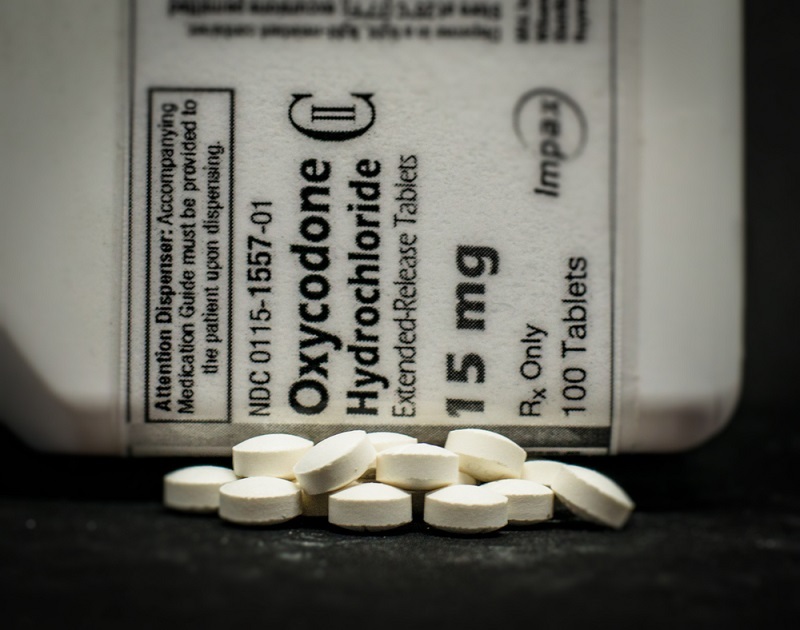 Oxycodone is considered an opiate similar to Heroin, Vicodin, and Fentanyl. Taking Oxycodone Frequently will impact how long Oxycodone stays in your system. If you take oxycodone on a more frequent basis this will affect how long Oxycodone stays in your system. Regular use of oxycodone over a long period of time will cause the body to begin storing up the drug within the fatty cells and accumulate it within other parts of the body, hence, causing a longer period of time to get rid of the drug completely. Metabolism plays a role in how long Oxycodone stays in your system. The rate at which your metabolism moves is also an important factor in determining how quickly oxycodone will be removed from the body. The higher and quicker your metabolism, then the quicker your body will begin to break down and remove oxycodone. Other personal habits such as exercising and proper diet will also influence how quickly your metabolism moves as well. Liver and Kidney Function will affect how long oxycodone stays in your system. 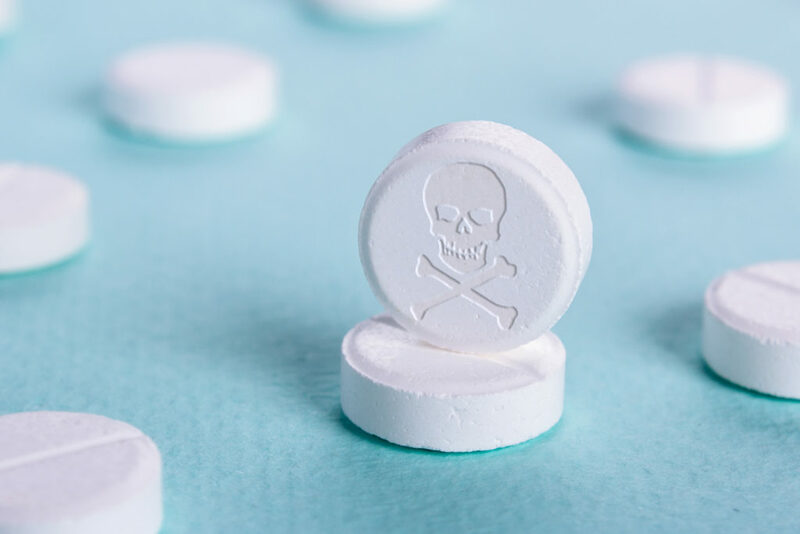 Oxycodone and other substances are processed and eliminated by these specific organs, so it is not a surprise that the health of the liver and kidneys play a role in how long oxycodone stays in the body. When these organs are healthy and functioning properly, then oxycodone will be eliminated from the body at the correct pace; at the right time frame. However, if these organs are the complete opposite of healthy, then instead of being eliminated, oxycodone will be stored and take a much longer time to be processed and eliminated from the body. In addition, the prolonged use of oxycodone can actually cause further damage to the liver and kidneys. Some damages can be irreversible or even life-threatening. If this is the case, try to get help for an oxycodone addiction sooner rather than later, as the sooner you seek help, the less permanent damages to your body. Other factors on how long Oxycodone stays in your system. Since most of the oxycodone is eliminated through the urine, it is important that the pH levels of urine are balanced. This is vital in the excretion process. The more alkaline your urine, then the slower it will take for oxycodone to fully leave the body. Drink lots of water when detoxing from oxycodone. 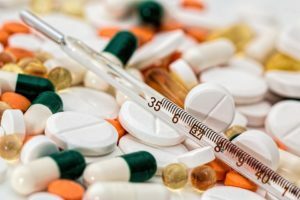 This won’t necessarily make the length of time oxycodone stays in your system any different, but it can help keep you hydrated and keep vital organs from further stress than they are already under. When determining how long oxycodone stays in the system (or any other drug for that matter), age plays a slightly significant role in the duration that they remain in the system. The older you are, the slower your bodily functions may work. Older persons may excrete drugs at a slower pace than a younger person. This is mainly due to the fact that since other internal organs such as the liver as kidneys functions typically slow down as well as the metabolism rates may begin to slow down as well. 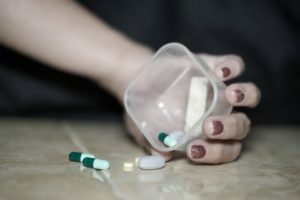 The dosage of oxycodone that an individual takes in comparison to their height and weight affect how much of the drug they will retain, how quickly tolerance and dependence get built up and how quickly the body will begin to eliminate the presence of oxycodone. The more body fat a person has, the slower oxycodone will be excreted since fats store up excess amounts of the drug. One of the major escape routes for oxycodone out of the body is through the urine and the sweat. This is why proper hydration, especially adequate water intake, is important since it helps to promote the regularity of oxycodone elimination from the body. Oxycodone can typically remain detectable in the urine for up to four days after last use. If a blood test is administered in testing for oxycodone, it will give a positive result for up to 24 hours after last use. Since this is a shorter reading period, typically blood tests aren’t the norm when it comes to testing for oxycodone. Urine and saliva drugs tests are the most commonly given for oxycodone and other opiate drugs. 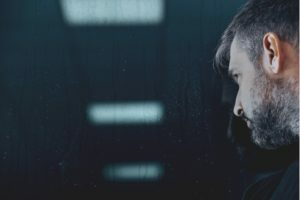 While a single strand of an oxycodone user’s hair will not give sufficient enough information on whether oxycodone is truly present within the system, it plays a vital role in giving information on how much oxycodone was ingested. Oxycodone traces may remain present in the hair for up to 90 days (or three months). Within the saliva, oxycodone typically stays for no longer than four days and no shorter than 24 hours. The following table will give you a better understanding of how quickly oxycodone becomes detectable within the system, versus how long it will take the body to fully eliminate oxycodone completely from the system. If you or your loved one has a problem with oxycodone, reach out for help. Call the Addiction Helpline to talk with one of our caring professionals. Recovery is possible and the sooner you get help the better. Consider a professional family intervention for Oxycodone addiction in your life.